Jack Daniel’s producer Brown-Forman has reported a net sales increase of 2% to US$1.67 billion in the first six months of fiscal 2019, boosted by double-digit gains from emerging markets. Year-to-date reported operating income for the group was “flat”, increasing by 4% on an underlying basis to US$596 million. In the year to date, underlying net sales grew by 5%. Brown-Forman’s second quarter net sales grew 3% to US$910m compared to the same period last year. Operating income for the quarter fell by 5% to US$332m. Brown-Forman’s first six months of fiscal 2019 grew by 5% on an underlying basis, negatively impacted by foreign exchange. The company said Q2 sales were “negatively impacted by approximately two percentage points primarily due to tariff-related inventory reductions (giveback) associated with the first quarter’s tariff-driven buy-ins”. The US has found itself embroiled in numerous trade wars in 2018, including with Canada, the EU and China. It comes after US president Donald Trump introduced a 25% import duty on steel and 10% on aluminium. As such, nations including Canada and China retaliated with their own tariffs, targeting US goods such as American whiskey. In June this year, Brown-Forman confirmed prices of its American whiskey and Bourbon brands would be raised as a direct result of the tariffs – up 10% in EU markets where the company owns distribution. CEO Paul Varga said: “Tariff-related buy-ins helped power first quarter results, while the anticipated giveback materialised in the second quarter, resulting in 5% underlying net sales growth during the first half. “This growth demonstrates the consistency of our revenue delivery, especially against strong, 7% underlying net sales growth during the same period last year. In the year to date, underlying net sales in emerging markets grew by 10%. Mexico increased by 12% due to “strong gains” across the portfolio, notably Herradura Tequila and New Mix. 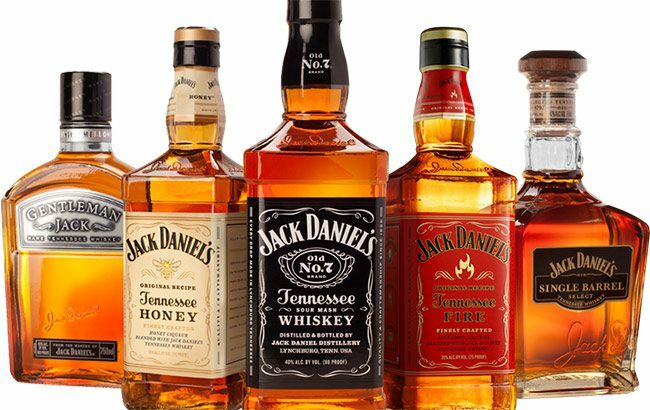 Brazil increased by 36% due to “strong demand” for Jack Daniel’s Tennessee Whiskey. The US grew by 3% boosted by Woodford Reserve and Old Forester Bourbon, while the UK increased by 16%. Travel retail delivered “strong growth”, up by 14%. In terms of brands, the Jack Daniel’s family of brands grew by 5%. Brown-Forman’s portfolio of super-premium American whiskey brands – including Woodford Reserve, Jack Daniel’s Single Barrel and Gentleman Jack – delivered 19% underlying net sales growth (12% reported), driven by “increased consumer demand” for the brands, particularly in the US. Net sales of El Jimador Tequila increased by 11%, and Herradura grew by 15%. Finlandia vodka declined in the first half by 8% driven by “unfavourable channel mix” in Poland and lower volumes in Russia and the US. Lawson Whiting, chief operating officer and incoming CEO, added: “Our premium portfolio of American whiskey brands, led by Jack Daniel’s and bolstered by Woodford Reserve, continued to deliver balanced geographic growth. The company said in a statement on its fiscal 2019 outlook: “The global economy has continued to improve over the last year.